In a way I wish this book weren’t as dense with ideas as it is, but it shows us that this race stuff is not simple or easy. 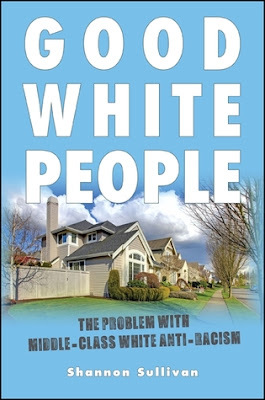 The struggle to understand what it will take to fix this messy problem should make pessimists of us but indeed Sullivan’s book is so thoughtful and addresses so many aspects of American race issues that we also have reason to hope—that people like this will guide a new generation forward with new tools. Shannon Sullivan's Introduction alone made me want to recommend this book to every well-intentioned white person who thought they want to convey their ‘wokeness.’ Basically she is saying, and I agree, that it’s not going to be so easy as that. We’re going to have to be the handmaidens of this movement, not the tip of the spear. Ain’t nobody so woke they cain’t learn a few new lessons. When Vance came out with his autobiography Hillbilly Elegy, some critics pointed out that he was tentatively making a larger point about the American political system and poor white country folk but ignored the issue of race. Sullivan dives right in and seizes that nexus of class and race and explains why middle class white folks, the “good white [liberals]” of the title feel more comfortable with middle class black folk than with ‘poor white trash’: because 1) poor white folk embarrass them and fracture the rules of white social etiquette; and 2) the white middle class like to believe they are openminded and that opportunity for black people exists. At the end of this chapter she makes the point that white supremacists cannot be sidelined if we are to move forward in a democracy. They must be engaged. It is too much to expect that black people would have to engage these folks and still preserve their sense of self, so this may be the role that well meaning white “allies” might have to play: engage these folks. Not what we would have chosen, but undoubtedly necessary. The second point Sullivan makes is that white people cannot wish away their white ancestors, or declare them anathema. We must recognize that those folk operated under different social, political, and economic conditions and that we may have done what they did in the same circumstances. What they did perpetuating slavery was undoubtedly wrong, but we can’t just say, “that’s not us.” We have to concede that it indeed might have been us, and we still benefit from the privileges granted us from that time, e.g., money, status, opportunity. etc. This point is one white folk want to shy away from, but in fact black writers on race have been saying this for awhile now. We have to acknowledge slavery in the United States damaged the prospects for black folk, and that while we did not do these things, to this day white folk benefit. There are only four points in this book, but they are very carefully looked at from several directions so that our confusion, fears, or objections, should we have any, are carefully answered. Other reviewers have said Sullivan’s third issue, discussing the “disease of color-blindness,” has been the most influential one in the process of teaching and raising their children. White people have to start talking about race, which for many of us growing up was something well-brought-up people did not do. Talking about race was done by white supremacists or white trash. That’s over now; it is necessary to talk about race, our own race, in order to acknowledge that our own race is not neutral. It also has cultural habits and color. And in many cases, it comes with its own assumed ‘rightness,’ or first place in a hierarchy of correctness. Black folk, it appears, would prefer we do talk about race because otherwise it is the elephant in the room. They have to deal with the consequences of race daily. It seems right to them that we do, too. What Sullivan is able to do is to suggest ways to discuss race and color and the history of privilege with children at an early age. Her researches show, and we ourselves know very well, that children pick up unspoken cues from our behaviors even if we never say a word. She suggests we steer the learning process by discussing race openly, recognizing how it plays out in our neighborhoods and playgrounds, and address it head on. This is especially true if very few black individuals live in our neighborhoods, which can lead to early learning about why that would be so. Why? White guilt can be a paralyzing emotion that can impede racial justice. White guilt can inhibit action but also judgment. Racial justice needs people who have some moral authority and can respect people of color enough to disagree with them. James Baldwin hoped that black people would not retaliate against white oppressors for one reason only: that it hurts twice. Once when the aggression is perpetrated, and again when it is retaliated against. Religious leaders who were also victims of oppression have been saying this since the beginning of time. ‘Love thine enemies.’ It is what black Christians did after the nine Dylan Roof killings in Charleston, South Carolina at Emanuel African Methodist Episcopal Church. White people were shocked. Real Christian values? How can it be? White evangelicals appear to have lost their connection to Christianity some time ago. 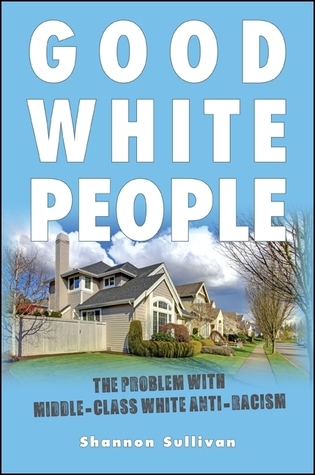 In her conclusions Sullivan warns good white liberals not to expect intimacy. There is still a lack of trust and the white gaze can be like white noise: it obliterates other creative expression. The book is dense with insight, much more than I reproduced here. It should be on everyone’s list of must-reads, along with bell hooks, whose writing you are sure to encounter when you have begun investigating race. Sullivan writes in the Introduction that “perhaps in the future racial categories will not exist.” In the future, augmented and non-augmented humans may be the critical divisors. Skin color would be just another descriptor.